Our thanks to Charlie and Susan Roscoe, Paula Vicenzi, and HMS students and families for their support of our recent book drive! 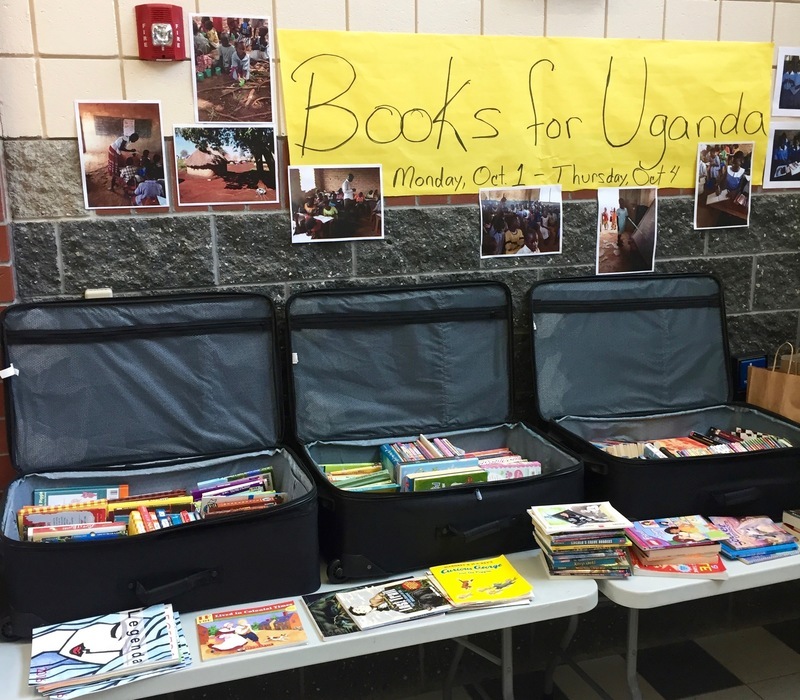 During the week of October 1, HMS accepted donations of gently used reading books to send to the St. Bahkita School (a non-secular school) in the Kiryandongo Refugee Settlement, in Bweyale, Uganda. Parents of the 700 children that attend this school fled the war in southern Sudan to find a safe place for their children and families. Our relationship with St. Bahkita began in 2012. Through the years students from st. Bahkita and HMS students have exchanged letters about their school experiences and their daily lives. You can find a history of our on-going relationship at HMS NEWS. 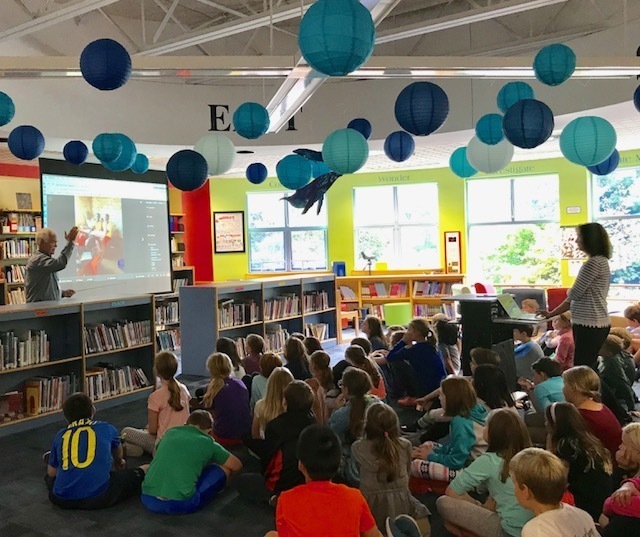 Charlie and Susan Roscoe, former Yarmouth residents, started a non-profit called Schools for Refugees in 2010, with the goal of providing support to children of refugee families in Sub Saharan Africa. Charlie's next trip to St. Bahkita will be in late October when he will take the books to the students who are learning to speak English. These students have access to a limited number of books to practice their reading skills. HMS students and families donated three suitcases of books for children in grades three through 6. This service learning project is a wonderful way for our students to know that they can make a difference in a person’s life!